Merry Christmas to all of you fellow Kiesel/Carvin forum members! Did anyone get anything guitar/bass/whatever instrument-related for Christmas? I doubt I will since I didn't ask for anything like that. I'd hate to ask someone to get me a Strymon Mobius or something. That's just awkward. I usually say I got everything I wanted and more than I deserve. This year went far beyond that! Merry Christmas to all, and to all, a guitar! 2Plus2isChicken wrote: Did anyone get anything guitar/bass/whatever instrument-related for Christmas? Yes, actually. 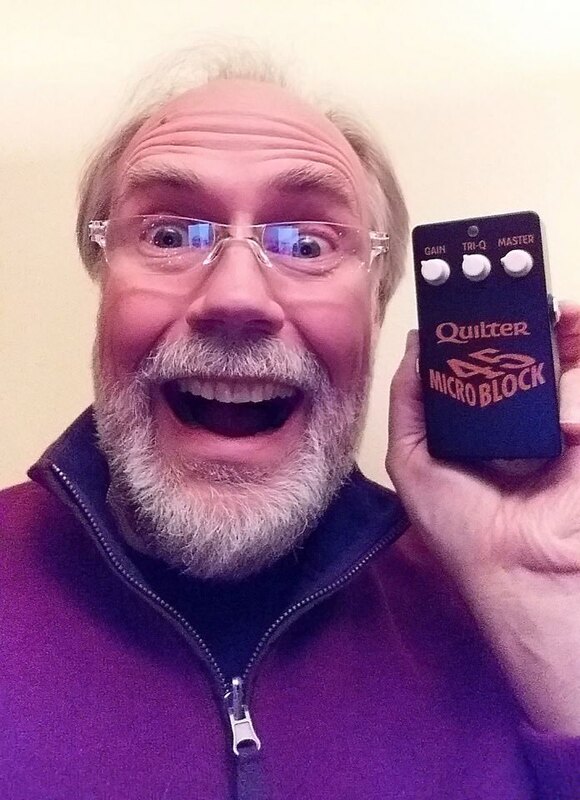 My wife gave me a Quilter Microblock 45. This is a guitar amp head. 45 watts into 4 Ohms. 33 into 8 Ohms. I am stunned at how good it sounds. I saw some reviews of the Micro Block and it seems cool. I wonder how it compares to the Mini heads they make? 2Plus2isChicken wrote: I saw some reviews of the Micro Block and it seems cool. I wonder how it compares to the Mini heads they make? I like it better than the Hwy 101 mini head. But I'm convinced that I'd like the 101 Reverb better than either of them. Never tried any of the Toneblock series. I got a bottle of wine from a vendor at work, but I don't drink...I suppose I could use the bottle as a slide, or something. I used the gift card today and bought a Fulltone OCD pedal. It's awesome! 70s classic rock in pedal form. 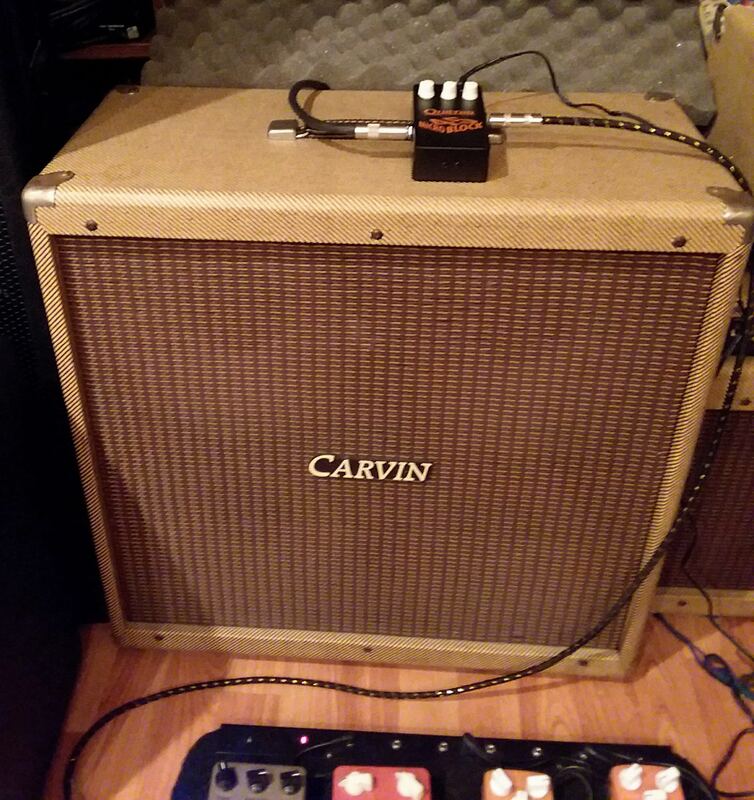 It works great with the VT16 and a compressor and stacks nicely with another overdrive before it. spudmunkey wrote: I got a bottle of wine from a vendor at work, but I don't drink...I suppose I could use the bottle as a slide, or something. There are actually some information out there on the web about how to make guitar slides from wine bottles. You should do it! I don't drink either, but I got a bottle of Romulan Ale from Star Trek: The Experience after a relative went there, and I have it sitting on a shelf. I'm no slide player so its role is solely for decoration and to display my nerdness. I got some money to put towards the Mercury V. (I asked for money specifically for that, so that's the one music oriented thing I can mention here). Soon! I was sitting at a Vegas blackjack table with five of my closest strangers when the clock turned Christmas. IIRC everybody lost that hand. I wished the dealer a Merry Christmas, and she made a funny guilty looking face. I love it when it's a full table, the dealer is charismatic, and everyone is engaged & having a blast. This was my first Christmas in Vegas, it won't be my last. It was extra special because ultimately I doubled up after a couple of hours and walked away. Gear content: Some of these funds will go toward a new CS, hopefully in 2018.